On the 20th (Thu), look for gifts at La Boutique Dei Golosi S.N.C. Di Ciabattoni Francesca E Charlot Alain, take in the spiritual surroundings of San Michele in Foro, take in the spiritual surroundings of Basilica of San Frediano, then indulge your senses at some of the top wineries in the area, and finally make a trip to Ponte della Maddalena (detto Ponte del Diavolo). 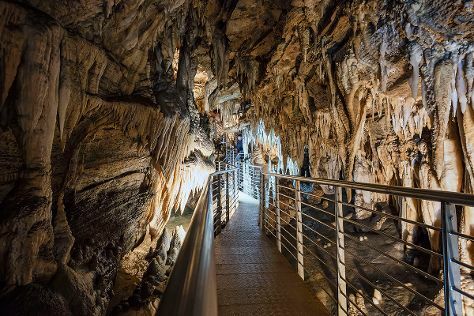 Get ready for a full day of sightseeing on the next day: contemplate the long history of Palazzo Pfanner, make a trip to Torre delle Ore, and then explore the fascinating underground world of Grotta Turistica Antro del Corchia. To see more things to do, where to stay, photos, and tourist information, refer to the Lucca itinerary builder. If you are flying in from United States, the closest major airport is Pisa International Airport. In October, daily temperatures in Lucca can reach 70°F, while at night they dip to 54°F. Wrap up your sightseeing on the 21st (Fri) to allow time to drive to Pisa. Eschew the tourist crowds and head to Wine Tours & Tastings and Food Tours. Get out of town with these interesting Pisa side-trips: Zipline (in Riparbella), Fortezza delle Verrucole - Archeopark (in San Romano in Garfagnana) and Isola Palmaria (in Porto Venere). There's still lots to do: see the sights on two wheels with BellaItalia Tour and don't miss a visit to Basilica romanica di San Piero a Grado. To find other places to visit, where to stay, reviews, and other tourist information, you can read our Pisa itinerary builder. Pisa is just a short distance from Lucca. October in Pisa sees daily highs of 71°F and lows of 54°F at night.